Part of the Recital Centre’s Local Heroes all-embracing chain of recitals, pianist de Borah’s initiative acts as a sort of complement to Kathryn Selby’s long-lived series where musical colleagues join in ensembles either on an ad hoc basis or in an ongoing relationship. Selby’s environment is usually that of the piano trio or quartet while de Borah gravitates to the duo format – his friends including another pianist, another singer or instrumentalist. For yesterday’s program, the associate artist was Adam Chalabi: a familiar face as one-time leader of Orchestra Victoria, then that body’s artistic director, Head of Strings at the Australian National Academy of Music in 2012, currently first violin in the Tinalley String Quartet and a professor in violin at the University of Queensland. Rather than picking over repertoire gems, the duo took on two differing but neglected sonatas. Mozart K. 379 in G is hardly calculated to appeal to a violinist; the keyboard has all the running, particularly in the second-movement variations. Chalabi’s strongly-voiced output gave de Borah’s active piano part a fair amount of competition but, for much of the work’s length, the string instrument runs in second place. Which might explain why only a few of Mozart’s works in this form appear with any frequency. Elisabeth Sellars performed the set at St. Michael’s Church in Collins St. nine years ago but I doubt if this particular sonata has seen much light since then. De Borah made a deft apologist for this small-framed piece gifted with many repeated sections. His performing style serves as an object lesson; supple wrist work, each note carefully searched out, the hand curved in the time-honoured, teacher-approved style yet capable of sonorous and vehement passages without physical histrionics. The violinist had all the running in what followed: The Lark Ascending, Vaughan Williams’ spare pastoral romance with its atmospheric, emotionally centred cadenzas that soar to impossibly high Ds. Most often, we hear this poem to the English countryside in the later violin-plus-orchestra format, in halls where kind acoustics help the soloist in the fluttering and swoops that illustrate Meredith’s rhapsodic lyric. Chalabi span a strong, uncluttered thread with telling confidence, keeping his powder dry for the chain of double-stops at the score’s Largamente climax. Even in the close quarters of the Salon, you could find few flaws in this artist’s pitch and firm right-hand address. Continuing the Edwardian vein, the duo gave exposure to another rarity in Elgar’s E minor Sonata, among the composer’s last works and pretty contemporaneous with Vaughan Williams’ rural meditation. By contrast, this sonata looks four-square on the page, inclined to direct statements and sturdy development of set material. De Borah and Chalabi infused it with vigorous character, in particular the expansive if plain-speaking first movement. Even more success came with the final Allegro’s energetic canvas, interrupted by a reminiscence of the central Romance’s central theme. After the pellmell drive and busyness of a Brahms-thick textural expedition, this retrospective moment demonstrated the musicians’ clear-minded skill in treating difficult material. A standout recital from two performers in their prime. Both of these artists have considerable reputations. 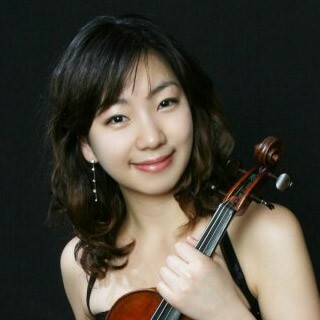 Ji Won Kim took out the 2009 ABC Symphony Australia Young Performer Award and is currently a member of the Melbourne Symphony Orchestra’s first violins, emerging more often than many of her colleagues to front the odd concerto or recital. 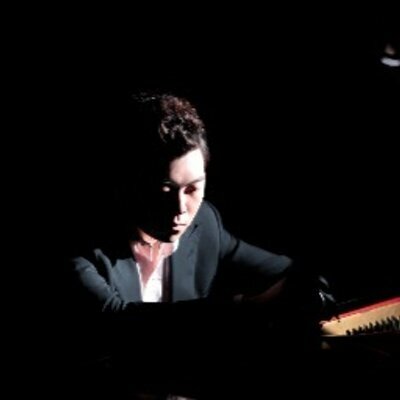 In 2012, South Korean pianist Young Kwon Choi gained the ABC Symphony Australia Young Performer Award in the piano section as well as capturing the Paul Landa Prize under the auspices of Arts Council Australia and Musica Viva, since when he has performed and studied in the UK and Germany and is now resident and active in Seoul. For this collaboration, both artists began and ended indivisibly enough through duets, albeit constructs of wildly differing quality. In between the Brahms G Major Sonata and Wieniawski’s Fantaisie brillante, the two went their separate ways. Kim allied herself with Caleb Wright, a viola colleague from the MSO, for Johan Halvorsen’s Passacaglia, lifted from Handel’s Keyboard Suite No. 7 and extended when the arranger felt that the original variations needed amplification. Both artists demonstrated impressive technical assurance, the fusion of lines well-contrived in the early Handelian pages, Kim relishing the firm flashiness of the latter variations. For his part, Choi played the Chopin Ballade in F minor, the most intricately constructed and densely textured in the set of four. Not that the work misfired, but the executant hurtled through pages that might have gained from more considered handling, particularly in the central development where the intended excitement relied on action-packed cascades of semiquavers while the intellectual changes rang thin. The duo’s realization of the Brahms sonata, apart from a small fumble in the final Allegro molto moderato, came over with fine warmth of timbre and mutual responsiveness, Kim’s line a clear voice right from the warm-hearted opening, while Choi dovetailed with sensitivity in the work’s lyrically controlled paragraphs. Wieniawski’s fantasy is an unabashed virtuoso exhibition for the violin based on themes from Gounod’s opera Faust. Like most of the breed, it sounds exhilarating for the quick succession of technical fireworks that dominate its more vivid sections, notably the variant on Mephistopheles’ rollicking Calf of Gold aria-with-chorus and the Kermesse theme. Kim vaulted through its demands with infectious brio, also finding a studied warmth for the piece’s central meditation on Gounod’s Act 3 love-duet. In the recital’s short time-span, Kim and Choi began with the program’s finest music to represent the indivisible aspect of their partnership, but from then on their ways parted and even the flashy final duet proved something of a one-sided business with Kim occupying the limelight. Nevertheless, the audience responded positively to the musicians’ output and the exercise made an auspicious signpost in a fairly new initiative – well, new to me: the Marigold Southey Signature Series. In two years, the Reformation’s central act – Luther’s nailing of his 95 Theses to the door of Wittenberg’s Schlosskirche – will be 500 years old, and it’s not stretching possibilities to foresee that Bach’s cantatas will form a significant part of those celebrations. At this city’s most prominent Lutheran church, Graham Lieschke continues to promote and oversee regular performances of these musical statements of faith. For today – Reformation Sunday – he presented No. 80 which uses Luther’s most famous hymn as its basis: a familiar tune that Bach transforms immediately into a polyphonic marvel as the opening chorus piles vocal and instrumental lines on each other, the composer testifying to his faith with a skill of construction and emotional enthusiasm that sweeps away all doubt. At Southgate, these cantatas are inserted into the regular Sunday liturgy, a constant framework into which Bach inserted his own musical sermons. In these more theologically relaxed times, the interposed cantata brings an extraordinary focus to the day’s liturgical observations, as well as to the readings and gospel which set the service’s tenor. This morning’s cantata content spoke clearly to the concept of the spiritual war between God and the Devil expressed in military metaphors of bulwarks, fortresses, flags, battlefields, armaments, freedom and victory. The St. John’s Choir gave a fair account of the opening movement, if inclined to be swamped by the ornate orchestration for oboe and trumpet trios, timpani, a bustling string body, and organ and harpsichord enjoying separate parts. Singer numbers seem to have shrunk over the past few years and – as with most local bodies – the tenors sounded faint, especially in this initial complex. But the later chorale verses came across with more aggression and verve. A few bleeps from the period trumpets emerged in the work’s finale, although the lines are taxingly positioned. Both oboists Kailen Cresp and Andrew Angus enjoyed more success with their solo contributions and the string corps show competence but a surprising lack of bounce, generating the work’s supporting weave but leaving it dynamically inert. As usual, Lieschke benefited from a quartet of able young soloists. Soprano Caitlin Vincent owns a clear-speaking instrument, even across its range for her counter-melody in bass Jeremy Kleeman’s Alles, was von Gott geboren aria. and her own very exposed Komm in mein Herzenshaus solo. Kleeman made the most of an extended, ardent recitative but the morning’s most effective solo work came from alto Maximilian Riebl and tenor Jacob Lawrence in the cantata’s penultimate duet Wie selig sind doch die: mutually considerate, well balanced in vocal timbre, accurate in rhythmic definition and pitching. The St. John’s series continues on Sunday November 29, the run-up to Christmas being marked with Schwingt freudig euch empor, Cantata No. 36, written to celebrate the start of Advent in 1731 and hymning Bach’s great faith with impregnable certainty and infectious joy.